Make it quick and easy to document, organise, track and approve timesheets with one easy-to-use timesheet app and software system. Trusted by thousands of engineers, foremen and project managers every day. Stop chasing timesheets and manually entering labour hours and cost codes. Streamline and automate the timesheet process with a smart timesheet app and software system. Use a standardised timesheet form which ensures every timesheet is accurate and reliable. 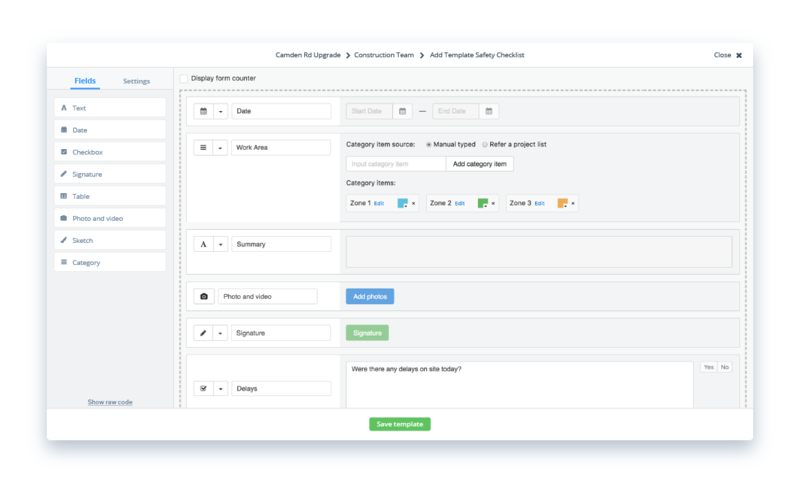 Create your own timesheet form with a powerful drag-and-drop form builder - or get started with our free timesheet template straight away. 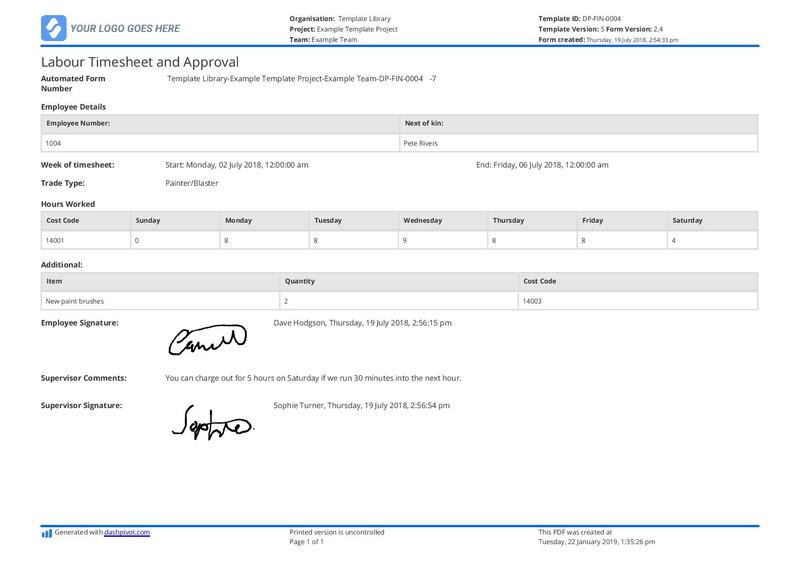 Every timesheet (or any form) is entirely flexible and editable, so you can add custom cost code dropdowns, photo and video references, labour hour tables and digital signatures. Every form is designed to make it easier to capture and reconcile the data being documented on site. Access and complete timesheets quickly and easily. Enable workers and employees to fill in and share their timesheets on any device - computer, mobile or tablet. 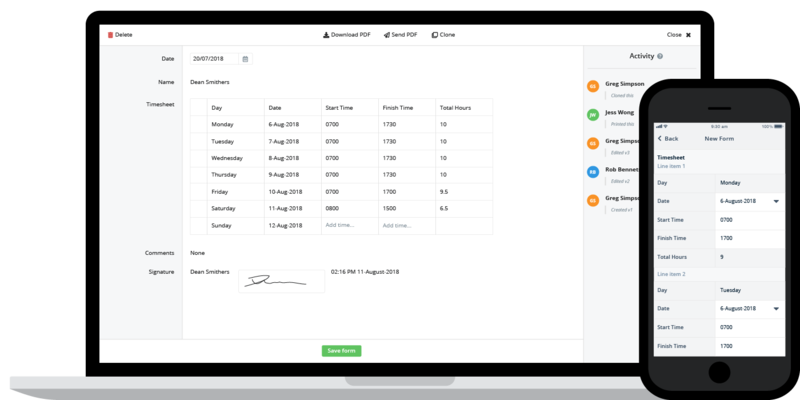 The timesheet app makes filling in timesheets fast and easy, with pre-loaded cost code lists, automatic table calculations and digital sign off. Every timesheet submitted is sent to the cloud in real-time, so there is never a missing timesheet or frustrating delay. 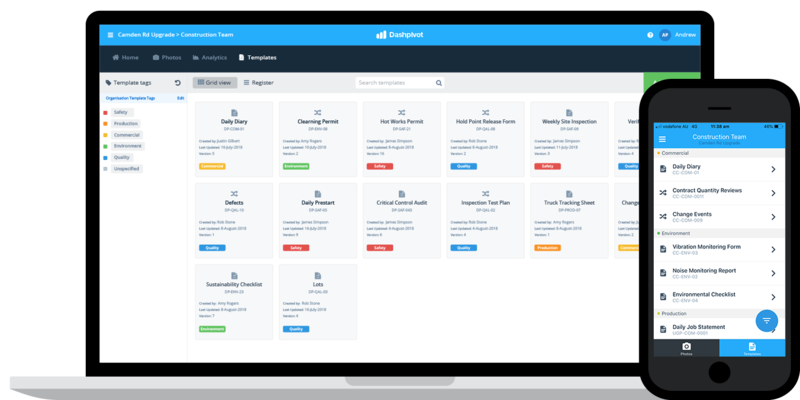 Setup an automated timesheet approval process in minutes to save hours every day. Chasing timesheets and hours worked can be time-consuming and headache inducing. 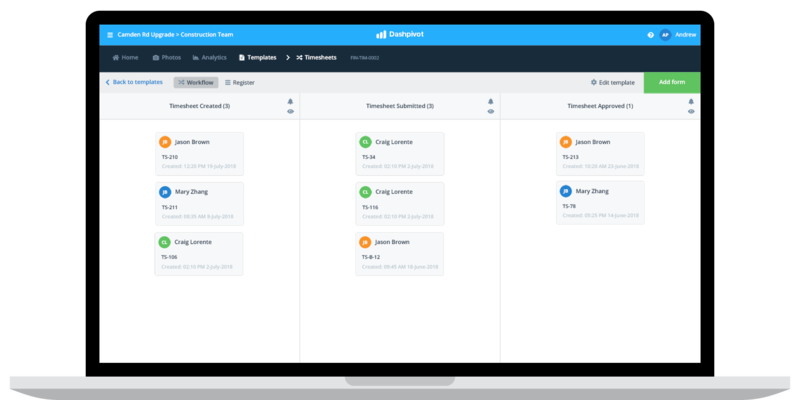 Using timesheet software, you can setup automated workflows which enable you to get instant notifications when a timesheet is ready for approval - and then is instantly closed or 'finished' when the approval signature is complete. This way, you can always see which timesheets are waiting for approval and which ones are already dealt with. If you need to get a timesheet out of the cloud? All of the timesheets created and submitted from the app or software can also be downloaded, printed and sent as PDF or CSV documents. Each document also features your company logo and colours to keep it looking neat and professional. Try this construction timesheet app and software for free. 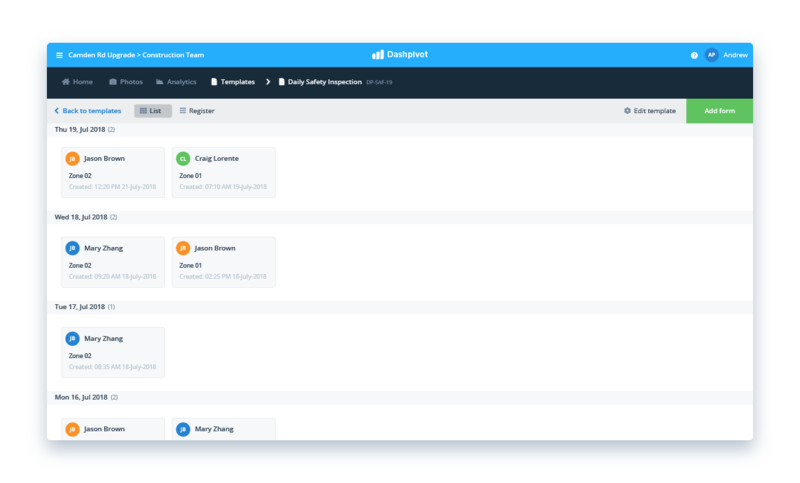 Find any timesheet record quickly and easily using the perfect view. The timesheet software automatically stores all of the submitted timesheets into chronological order so everything stays organised and easy to look back on. Instantly convert your timesheet records into a register to filter and find specific records. It's just like your excel timesheet register, but without any manual data entry. Get a better view of your construction timesheet data with instant insights into how many hours are being worked and where money is being spent. The construction timesheet software automatically aggregates all of the data being submitted via system so that you can display it in graphs and charts. Create a timesheet dashboard with multiple charts showing you how many hours have been worked, which cost codes have been used the most, and which people are working the most hours. All of these charts and dashboards update automatically as data is being filled out every day. 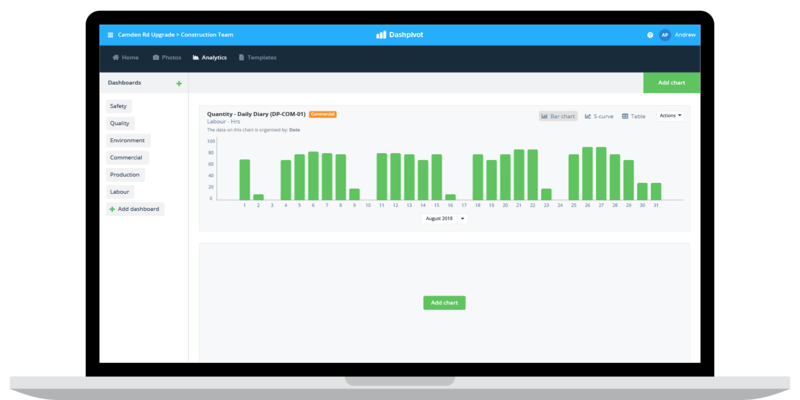 Dashpivot can be integrated with your accounting and finance software (and others) to streamline your timesheets even more. More than a timesheet app, if you want it to be. No site workers are administrators want to jump back and forth between different apps and tools to get simple jobs done. 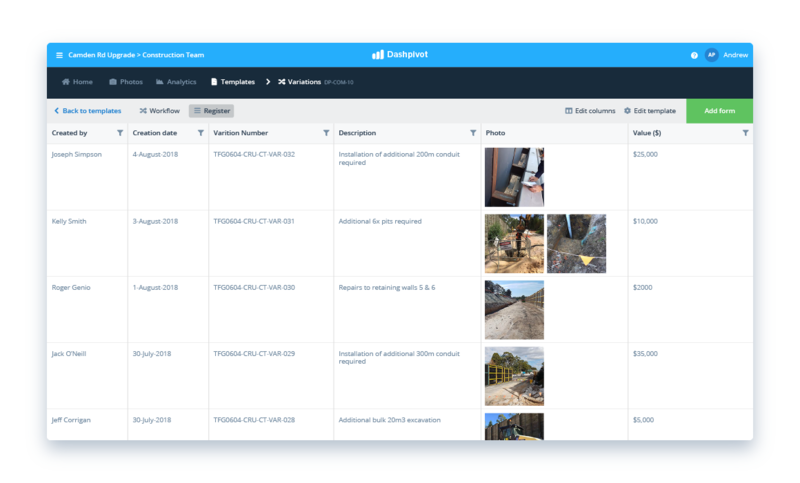 This construction timesheet app can also serve as the app for any of your site forms and activities including site diaries, site inspections and reports and more. Improve how you capture, organise and track timesheets using this construction timesheet app and software.